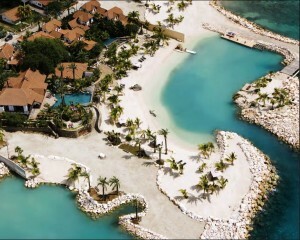 WILLEMSTAD – If luxury is what you want then Baoase Luxury Resort is your place to be. The Trip Advisor number one resort on the island is nestled amidst tropical gardens on the pristine waters of the Caribbean Sea. 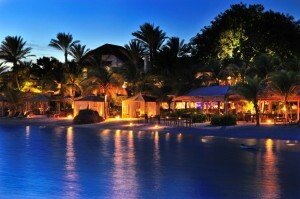 This resort is truly the ultimate island retreat in Curacao! Choice award for Top 10 hotels for Romance in the Caribbean and Mexico, Baoase is an unforgettable experience that promises total relaxation, luxurious comfort, and impeccable service. The resort is situated on an idyllic 300 meter beachfront on the South side of Curaçao, between the capital Willemstad on the UNESCO world heritage list and the Curacao Sea Aquarium. It is also just a few minutes away from the shops in the Punda City Centre and the night life. When you are at the Boase Luxury Resort it seems as if time has stopped. The amazing views of the Caribbean Sea will take away all your worries and stress. Baoase is surrounded by meandering free form pools, waterfalls, palm trees and Caribbean flora and fauna. This creates a magical setting in which to wind down and soak up the sun. Reflecting the qualities of an elegant home, the residential style villas and suites at Baoase are decorated in a refined Asian style and provide a relaxing ambiance complete with modern amenities. The Resort opened its doors in 2010.